If that's you, welcome aboard! Ok, so who am I ? A Kenyan, born and raised in Africa. Living in Europe for nearly 20 years. When I was young, I wanted to be an air hostess, nurse or fashion designer. Studied design and when I moved to Europe, worked in the fashion industry as a sales rep. Following a broken back, I left employment, followed my passion for reading and achieved a dream when I opened a physical bookshop in Bonn, Germany. I was one of my best customers. Shortly before Amazon killed that dream, I wrote and published my very first book, closed the bookshop and ventured into the online space. Later I started another business and opened a fashion store in Kenya. My acquired hands-on marketing experience comes from working on German and English B2B and B2C projects as a freelancer in the market research and social studies industry. 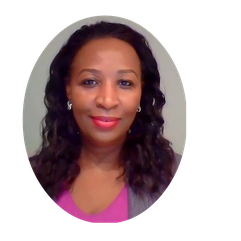 Described as creative, self-motivated change catalyst and nurturer, I enjoy working with people using my business background, experience, and know-how to help visionaries achieve their personal and professional goals. When I'm not helping women design their success, I'm indulging in self-care or show companies how to increase sales using digital marketing over at nagadigital.com. 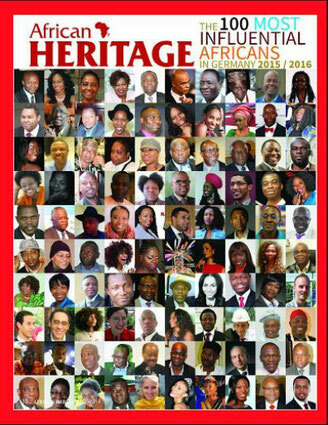 In 2016 I was voted as one of the 100 Most Influential Africans in Germany. It's the internet; I get it if you want some social proof. So here's my "claim to fame," :-) see the 5th row below. Converted atheist saved by grace, not ashamed to call Jesus my Lord and Saviour. I believe in the power of prayer and positive thinking, while also respecting what you choose to believe. The glass can always be half full when we have faith. My mission is simple - to help you set and achieve inspired goals, so you manifest your vision. I coach you to action; past the obstacles and resistance, so you see the tangible results you want. I'm here to help you bridge the gap from where you are now, to where you desire to be so that you enjoy the success YOU desire. As a Certified Life Coach, Speaker, Consultant and Digital Products Strategist, I show visionaries just like you how to design a life and business you love! I mainly work with ambitious women (+ a few some cool guys). Using my signature (IGNITE + ACCELERATE = TRANSFORM) IAT G.O.A.L.S™ System, I support you so that you get a clear vision, develop a plan of action, overcome the obstacles, and stay focused to make progress. Take a look at some FAQ about us working together and see how I will support you.